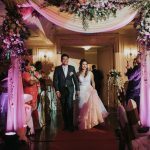 Vernon Kong, the founder of MomentoWedding, is an experienced and freelance professional wedding photographer, specializing in Wedding Photography based in the heritage city Penang, Malaysia. He decided to embark on a career as a professional wedding photographer whilst studying Business Management and Finance at Keele University, UK. MomentoWedding is established since August 2011. 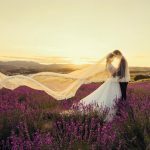 We are a team of wedding photographers who believe that wonderful snapshots can only be created through a great team effort as well as communicating closely with our valued customers. Apart from Penang, we also cover Wedding Photography throughout whole Malaysia and Oversea as well. MomentoWedding provides quality services at affordable prices. We cover Garden Wedding, Hotel Wedding, Chinese Wedding, Malay Wedding, Indian Wedding, Pre Wedding and etc. On top of that, we also offer rented bridal gowns from bridal houses. Our goal is to capture your precious moment as candidly and naturally as possible in which it preserves your true beauty and character. Attentive to details and people, we believe photography should tell a story in both unique and personal ways, so that every moment could become your life long memory. Vernon Kong is a late 80s young man who is born in Sungai Petani, Kedah and is currently living in Heritage City of Penang, Malaysia. He is friendly, sociable and a dependable person. He started his photography journey since the year 2010. He started as a second photographer and gradually become the main photographer and finally he is now a professional wedding photographer. He is a passionate and talented photographer who always loves photography since young. 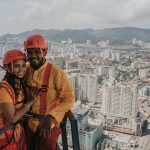 As a Freelance Professional Wedding Photographer, Vernon Kong has been featured in many famous magazines and popular wedding websites over the world. He has also won an international level competition Wedding & Portrait Photographers International (WPPI) and Wedding & Portrait Photographers Asia (WPPA). His work and personality is often being complimented by clients and thus, gaining him numerous significant testimonials. Studio: 135A, Lebuh Melaka, Georgetown, Penang, Malaysia. Thank you for browsing through our website. Feel free to browse through our gallery.